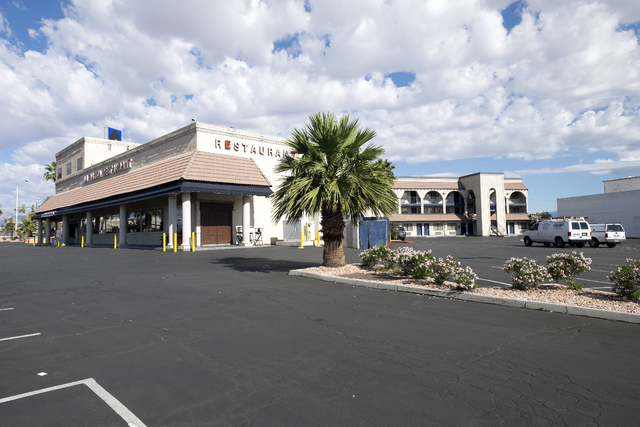 The former Americinn at 1006 N. Main Street recently sold for $5 million. Ulf Buchholz/Las Vegas Business Press. Buyer: Immersa Learning Network Co. Owner: Hand Property Holding Co.
Church @ 639 W. Carey Ave.
Retail remodel @ 3650 S. Decatur Blvd. Hospital addition @ 5400 S. Rainbow Blvd. Miscellaneous @ 517 N. Stephanie St. Restaurant remodel @ 7080 S. Rainbow Blvd. Medical remodel @ 1815 E. Lake Mead Blvd. Owner: College Park Realty Co. Warehouse @ 6811 Spencer St. Contractor: LF Harris and Co. Contractor: All Star Fence Co.
Industrial remodel @ 3901 Donna St.
Office/warehouse @ 5810 S. Eastern Ave. Restaurant remodel @ 7835 S. Rainbow Blvd. • James Ku fdba Rolling Willow LLC fdba HKE Inc. dba South Bay Management Resources LLC fdba Carmichael Town Center LLC fdba Del Norte Club Inc.
• John H. Cotton & Associates, Ltd.
• Kick Up Your Heels And Go!